When comparing washing habits to food, you could say that a shower is tuna mayo spread and a bath is Michelin-starred bluefin tuna sashimi. You eat one to get curb hunger, but you eat the other to feel fabulous. 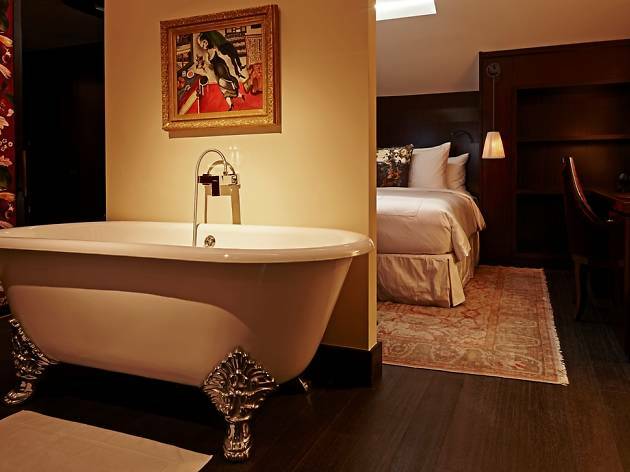 Putting the fab into a common routine, these 15 luxury bath experiences at some of the city's best hotels are a feast for the entire body (with or without the fish). Check-in, disrobe and prepare to go "aaah". Lloyd's Inn offers minimalist, white-themed rooms with plenty of natural light. 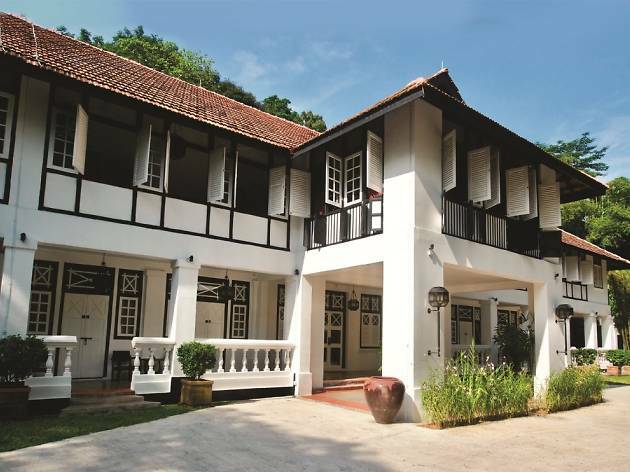 The boutique-style hotel has a roof terrace, modern garden deck and dipping pool surrounded by greenery. 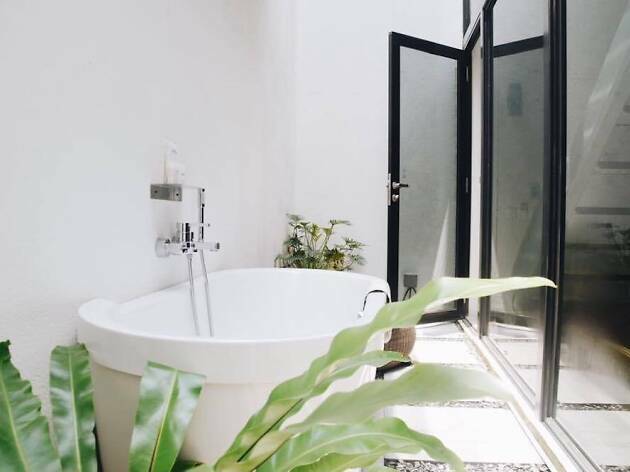 But one thing we can't get enough of is the private bathroom which includes a large white tub surrounded by lush greens and natural stone settings. A dip under the sun by day and under the stars by night sounds like a sweet deal if you ask us. 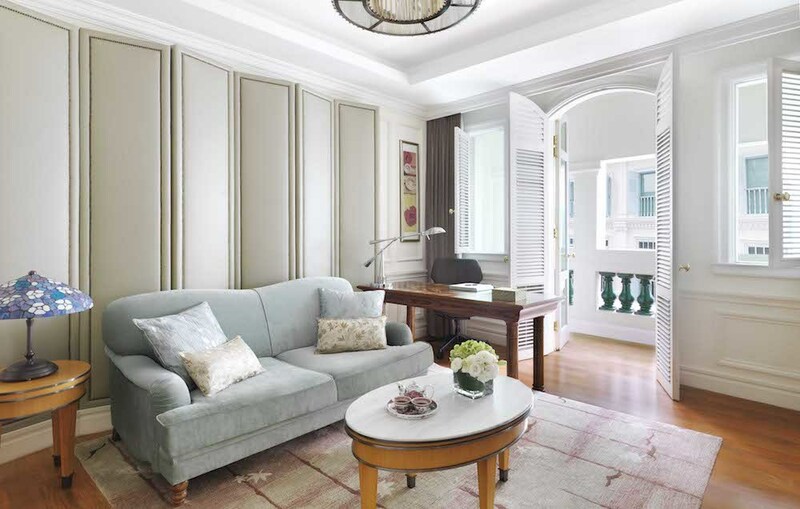 Signature 24-hour St. Regis Butler Service, exclusive Bentleys with chauffeurs, and an award-winning spa are some of the luxuries one can expect at this 5-star hotel. 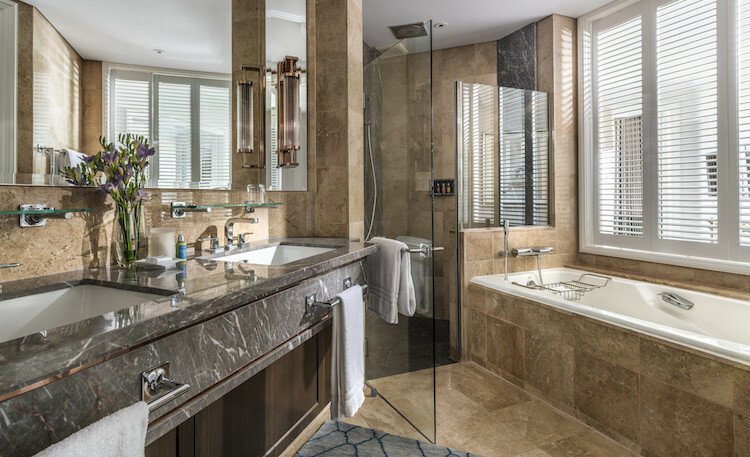 Live your best bourgeoisie life as rooms feature French marble bathrooms equipped with freestanding tubs, self-defogging mirrors, double basins, jet massage showers and tellies to keep you entertained while you soak. 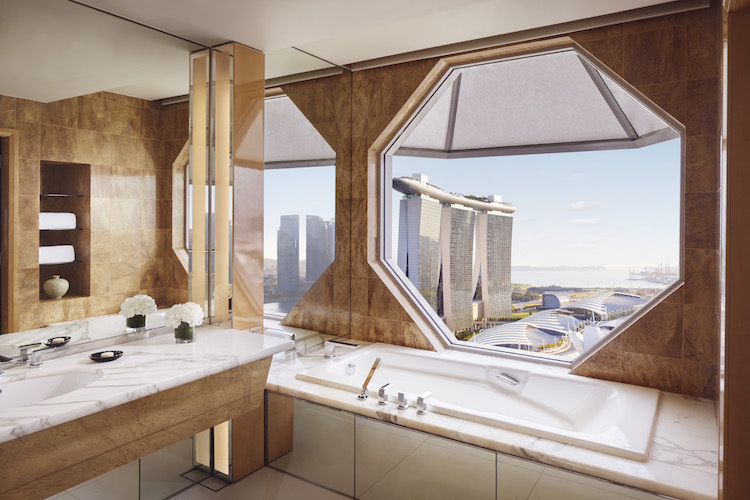 Take things up a notch at the Presidential Suite where there's a Jacuzzi-style tub, private steam room and an in-bathroom divan for you to enjoy while basking in the panoramic views of the city. 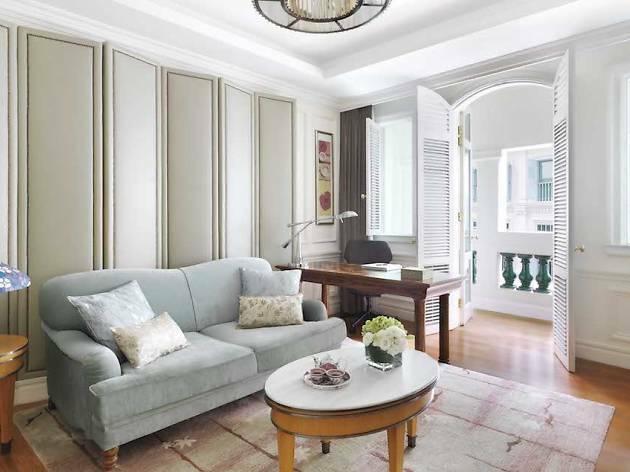 This intimate accommodation offers a Parisian boutique hotel experience on a grander scale. 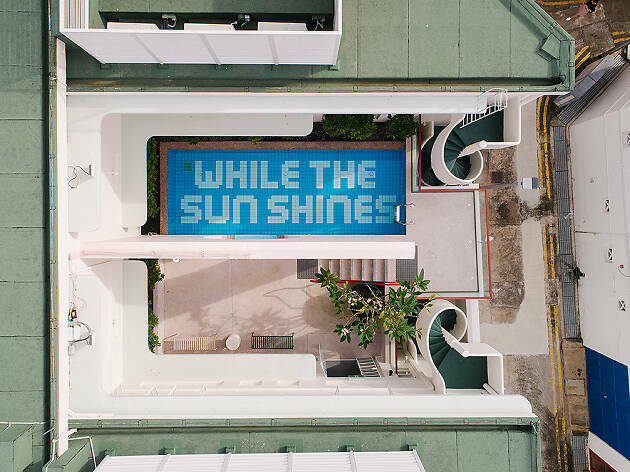 It’s all due to celebrated French designer Jacques Garcia, whose influences abound throughout the space: a shiny, bold rhinoceros doubles as a reception desk, and opulent banyan trees, which collectively took 100 craftsmen to complete, branch out from the shophouse’s pillars. And that's not all that visually pleasing. 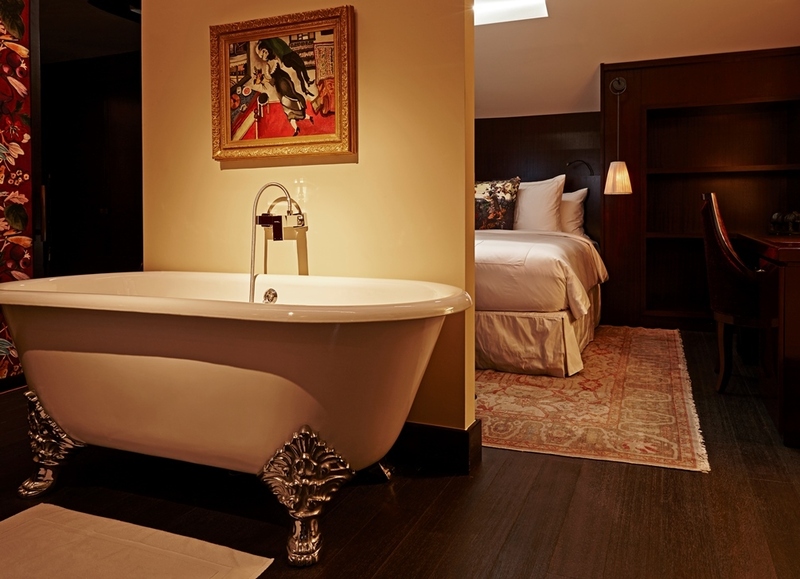 Its artsy rooms are decked with Italian marble and glass mosaic bathroom. 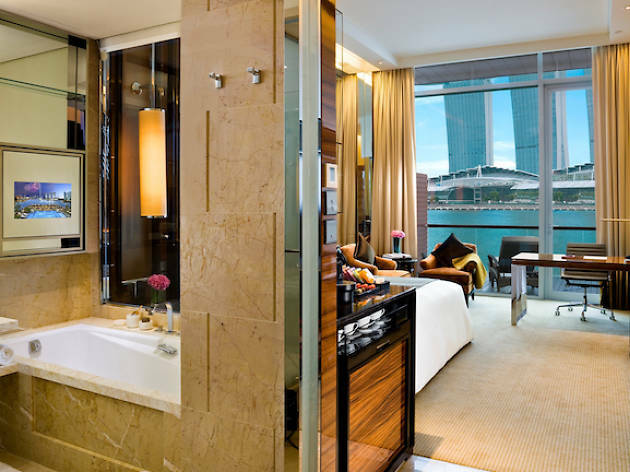 If one bathroom's not enough, book a stay at Vagabond Executive Club Suite where there are two instead. Ever what it feels like to swim amongst fishes without having to don all that diving gear? 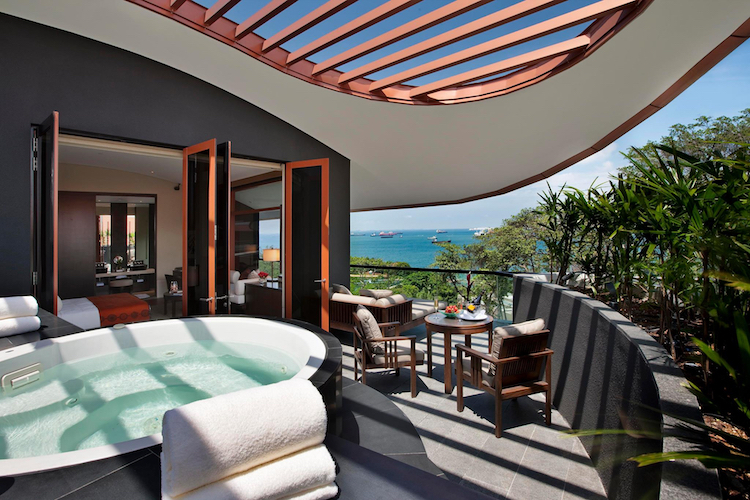 Now you can at Resorts World Sentosa's Ocean Suites. Tucked away in the corner of the world's largest aquarium – S.E.A. 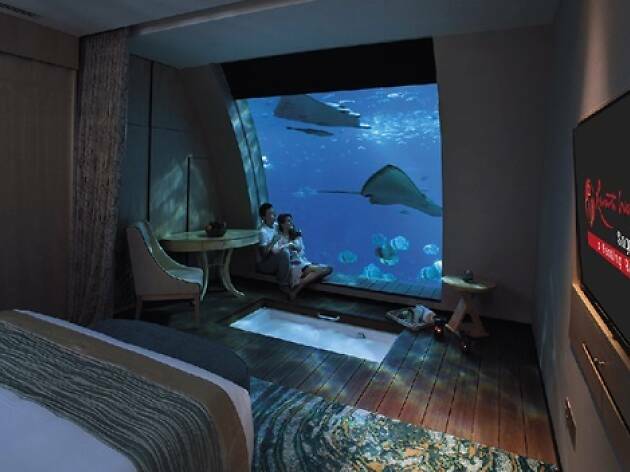 Aquarium – each of its two-storey exclusive suites offers guests the best of both worlds – land and sea. While the upper deck leads guests onto an outdoor patio and Jacuzzi, the lower deck treats guests to a spectacular underwater floor-to-ceiling view of over 40,000 marine fishes, all in the comfort of your bathtub. 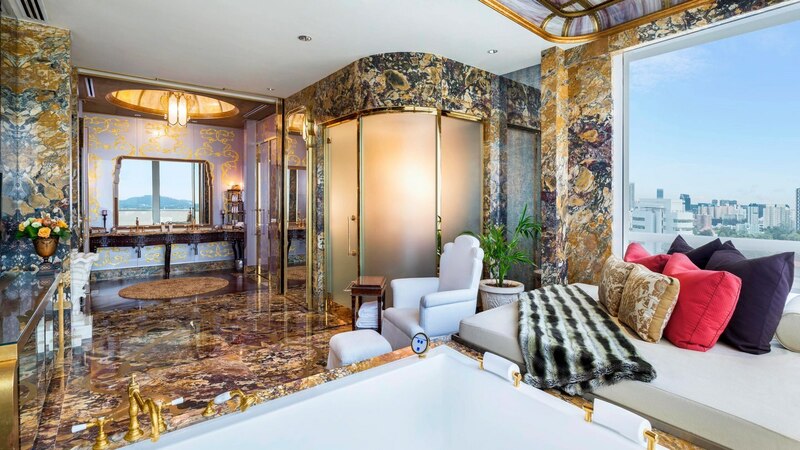 We’re not sure if this is a bathroom or Britney Spears’ Vegas residence, but it sure does look like a lot of eccentric fun indeed. 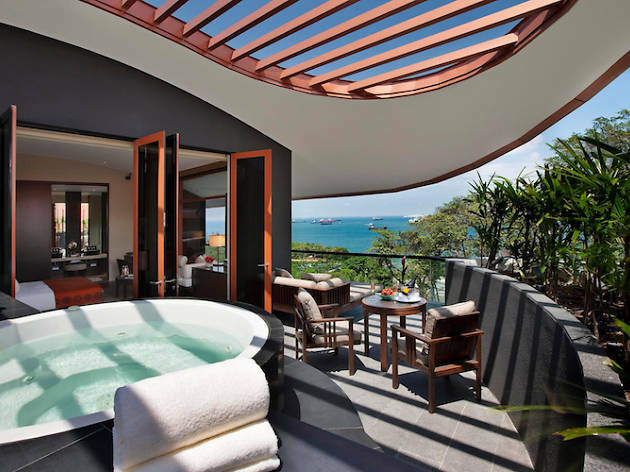 The Extreme Wow Suite at the W Singapore Sentosa Cove has a balcony that leads to the suite’s master bathroom. 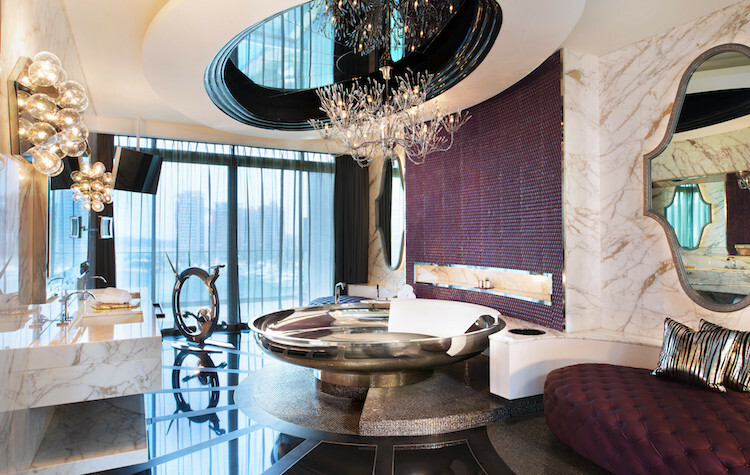 At the centre sits a huge stainless steel, oval bathtub and a custom champagne ice wall which reflects light from the cascading rods of a dazzling chandelier. This definitely has the 'wow' factor written all over it so you'd wanna whip out your phone to snap photos for the 'Gram to immortalise the moment. Expectations are always high when it comes to the Four Seasons – and the hotel certainly delivers. Even with its bathrooms. 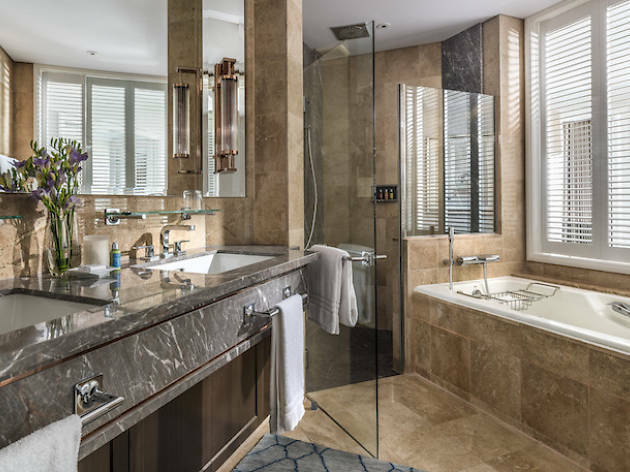 Almost the size of many hotel bedrooms, each bathroom at the Four Seasons comes with opulent marble furnishings, double vanity units, lighted magnifying mirrors, a separate WC, shower area, L'Occitane products and of course a large, deep soaking bathtub. The white colonial-style doors and windows with plantation shutters allow for plenty of natural light and ventilation for daytime washers. The room rate includes breakfast, so can we make ‘breakfast in bath’ a thing, please? 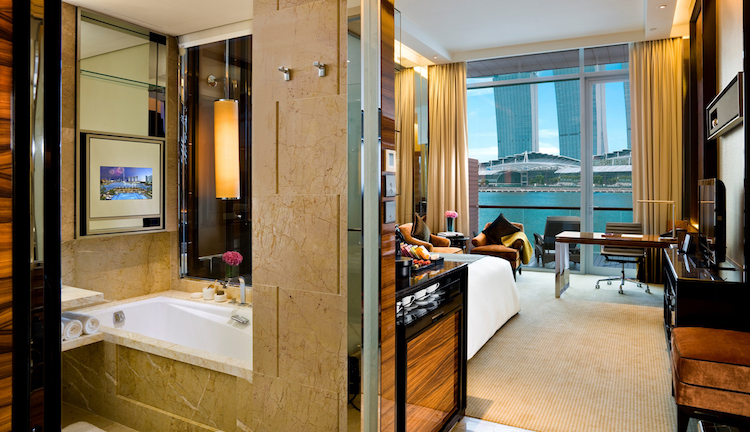 This five-star hotel is a jewel-like addition to the sparkling Marina Bay waterfront. Feel like a deliciously smelling king or queen in its fancy bathtub with customised Bottega Veneta amenities to help you relax and rejuvenate. All rooms come with a 19-inch LCD TV meaning hours of soaking entertainment. Good for keeping an eye on your other half or perhaps best for putting on a show for them, the Carlton City Hotel’s tub is positioned next to an ultra clear glass wall. But don't worry, there's a privacy blind available just in case you’re sharing the room with your mother. Guests who book the Club rooms and suites can enjoy plush toiletries from The White Company. All bathrooms come with a TV too. 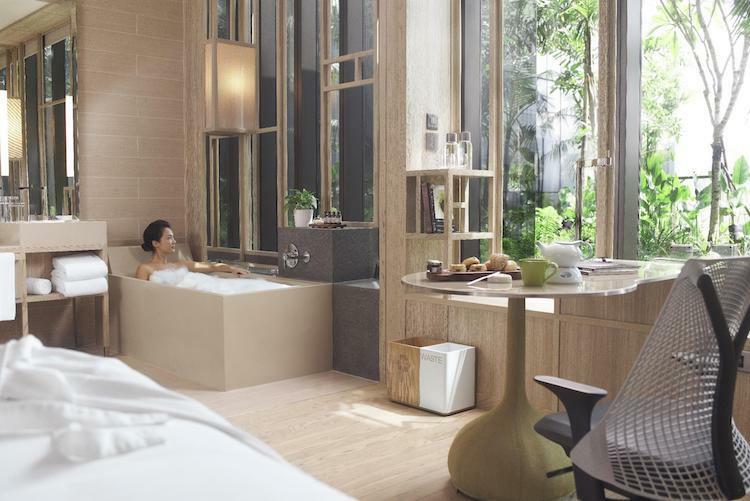 At The Ritz-Carlton Millenia Singapore, you get to enjoy wonderful butler-drawn baths from an extensive aromatherapy menu. Ring 15 minutes before your desired time and he arrives at your suite ready with a divine selection of tailored amenities. Got some cash to spare? 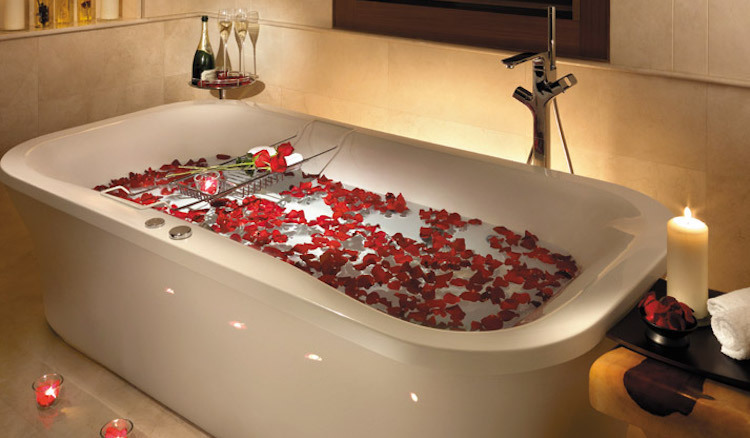 Ask for the Champagne Bath and he fills your tub with 135l of Moët & Chandon Champagne. You also get a bottle of vintage Dom Pérignon to sip on, so there’s no need to Google the side effects of champagne mixed with soap. The eco-chic PARKROYAL on Pickering is a refreshing oasis in a concrete jungle. The baths here are set in earth tones, hued in natural pigments and clad in eco-friendly, recycled composite granite. It’s like journeying into a futuristic outdoor Balinese spa. Baths are incorporated with an ingenious infinity feature, designed to hold as much water without overflowing with reclining backrest slopes. Perfect for nature lovers, this bath is green goodness from head-to-toe. There’s something extra refreshing about a bath outdoors. 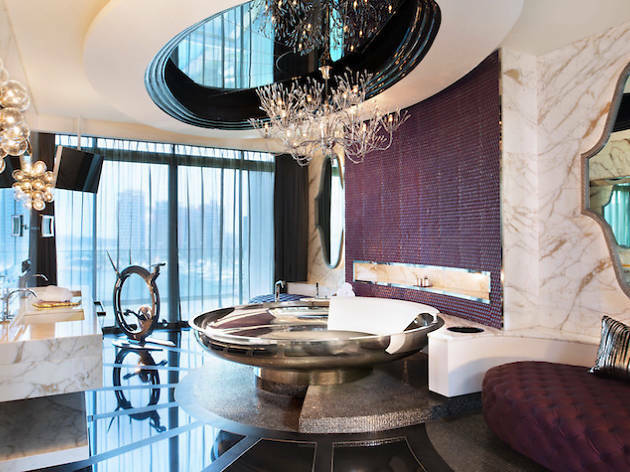 So the clever clogs at Capella Singapore have placed a Jacuzzi bathtub on the balcony of its four premium Constellation Rooms (we hear it's a huge hit with honeymooners). 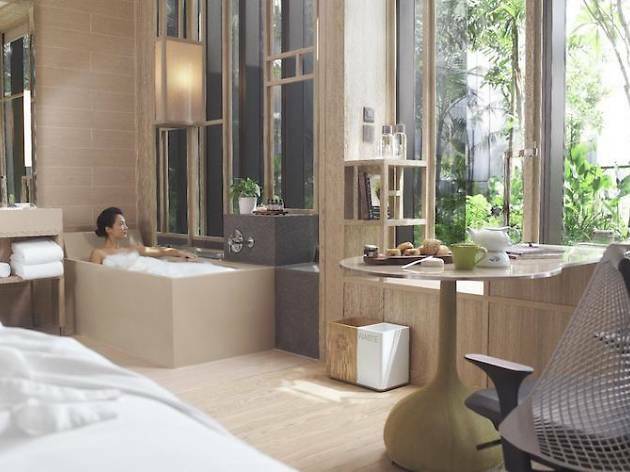 Enjoy amenities from AesopSoak as you soak in views of the surrounding lush gardens and the South China Sea. Up the ante and order some bubbly to go with your bubbles and watch the sunset roll in. 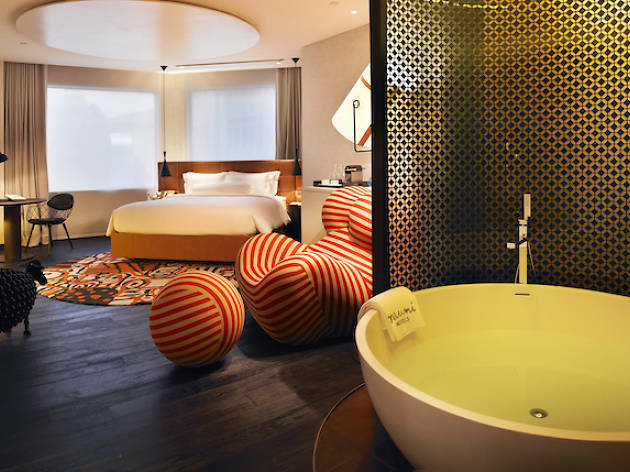 The Eden & Nirwana suite at Naumi is an extraordinary Andy Warhol-inspired design dream stylised with interesting shapes and splashes of colour. 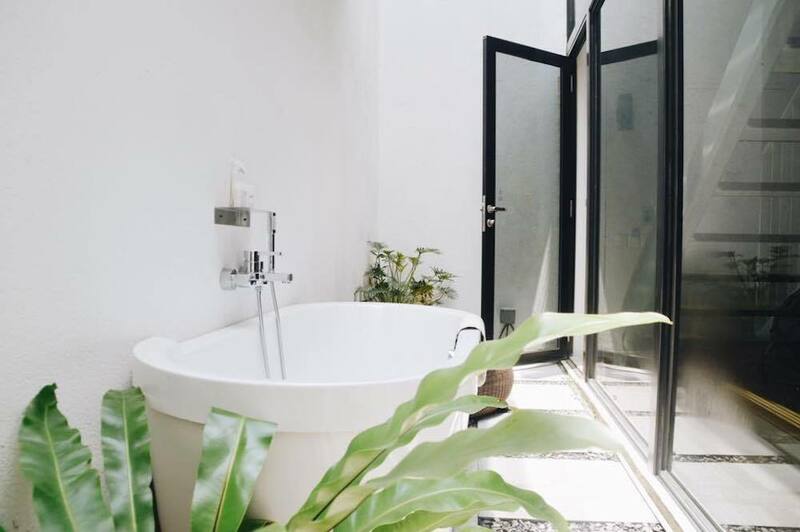 This Apaiser open-air tub is the epitome of minimalist and stylish. 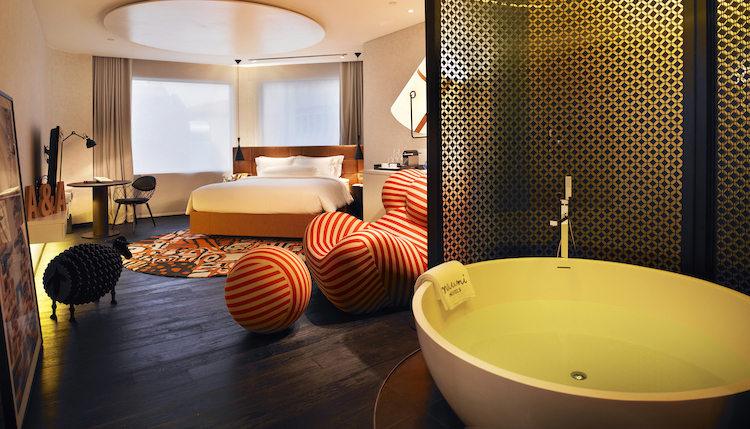 And as all rooms are soundproofed, you can have a bathtub singing session as loud as you like for however long you'd like. Products come from Australian superfood skincare brand SOAK. 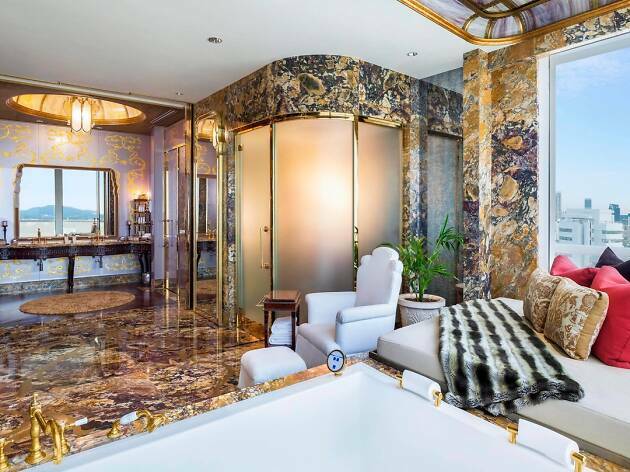 The Shangs’ marble bathrooms are romance through and through. 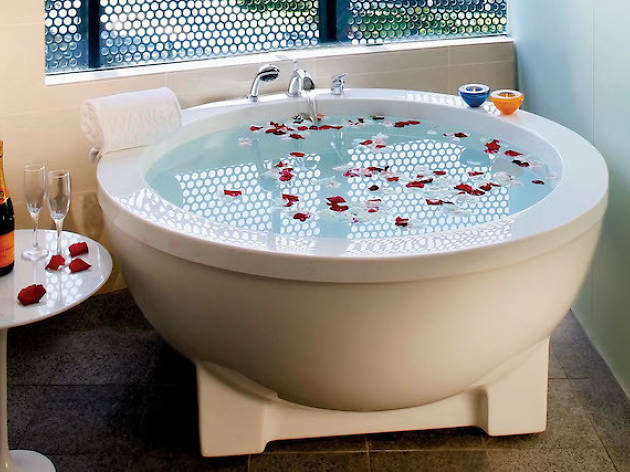 Opt to have yours filled with rose petals and candles for the ultimate night in with a loved one, or with your loving self. We just adore this stand-alone soak tub with its mood lighting because nothing beats zoning out of city chaos and submerging into beautifully illuminated warm water. 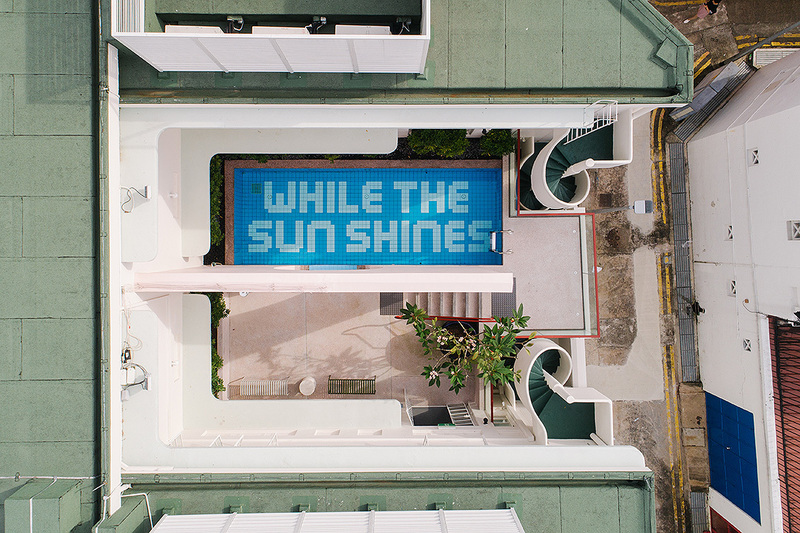 The Wangz Hotel’s fittingly named Soak Room comes with a gorgeous white round tub with plenty of border space to rest beverages, food or electronics – so you can answer your emails or gossip with pals half underwater. Because, y'know, bath time is a good time to multitask if you absolutely must! 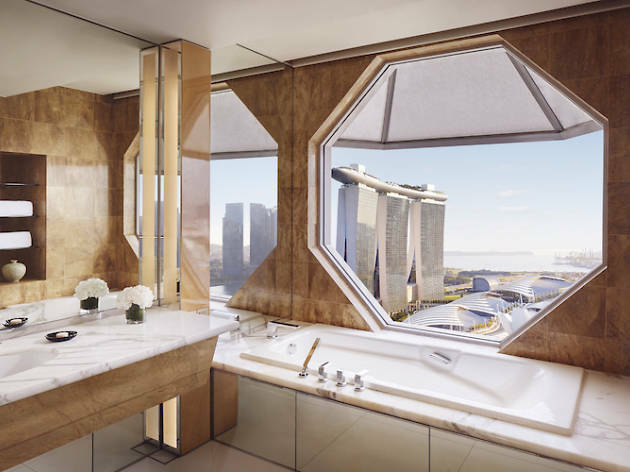 The bathroom is fitted with a perforated window where you can enjoy privacy but also a glorious view of the city. 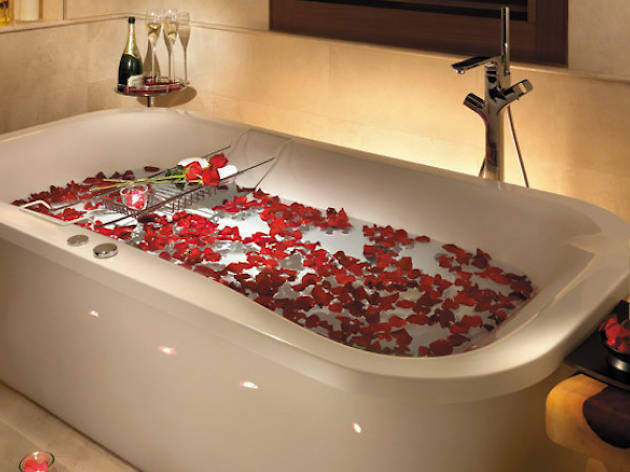 Atelier Bloem bath products are supplied and there's even a rose petal service. 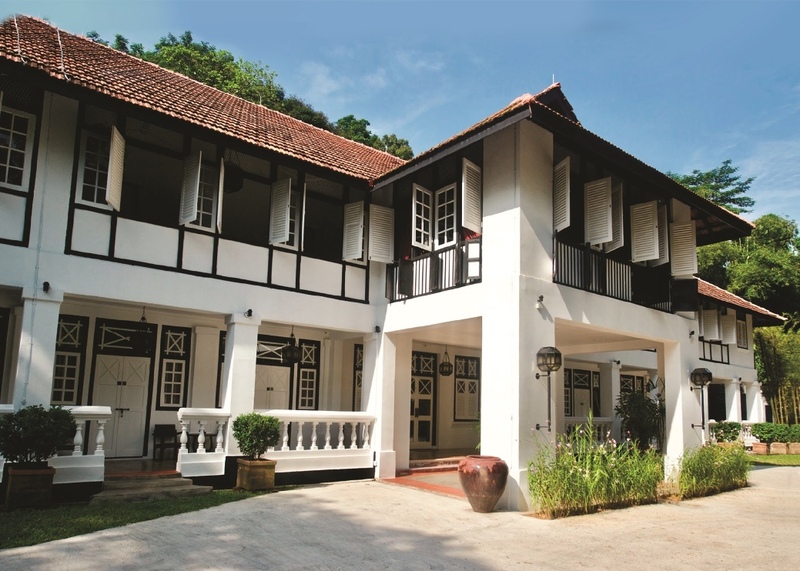 Villa Samadhi Singapore has 11 cribs for urban travellers to retreat, but only two of those rooms offer a wooden bathtub. So make sure you get in there early if you want one. These gorgeous pieces of bath-time art are crafted by hand from Samadhi Retreats' workshop in Kuala Lumpur and provide for a smooth and stylish soak with the hotel's signature bath salts. If you haven’t tried a wooden bath, now's the time.